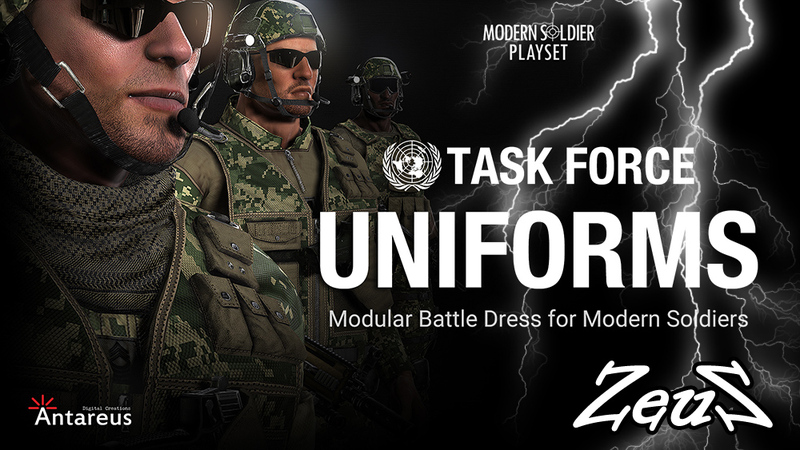 Description: Dr. 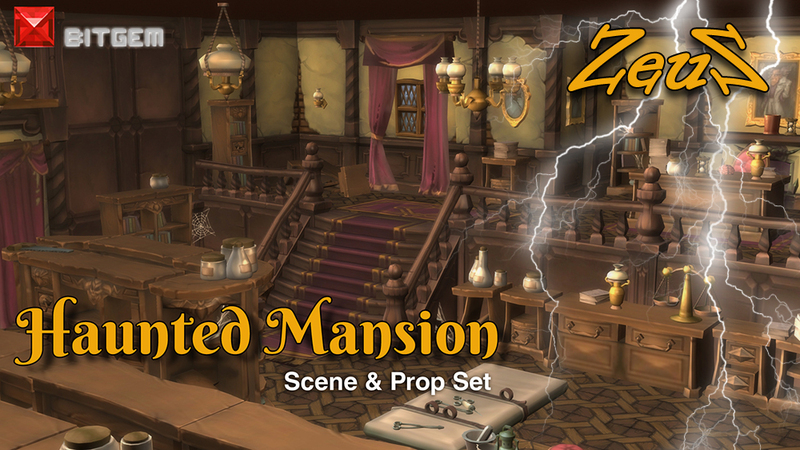 Evil's Laboratory, complete with mad scientist library bookshelves, plenty of ghoul body parts, some witches' cauldrons mixed with some creaky stairs and eery hallways all combined to create this haunted mansion modular mansion set. Make a home for all your spooky and sinister stories. This is a hand painted, low poly, interior building set. 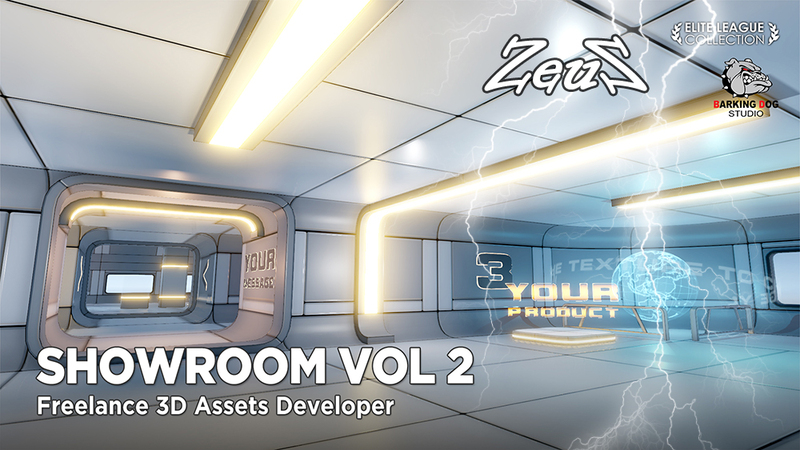 Includes 3 separate standalone rooms - Main Room, Entry Room and Side Room. Each supplied fully assembled, including 3 room combo for instant animation of stories. When using 3 part rooms, hide one of the room's doors where they line up. These rooms all have separated ceiling, walls and floors as subprops with other subprops attached for easy hiding to allow for camera angles. 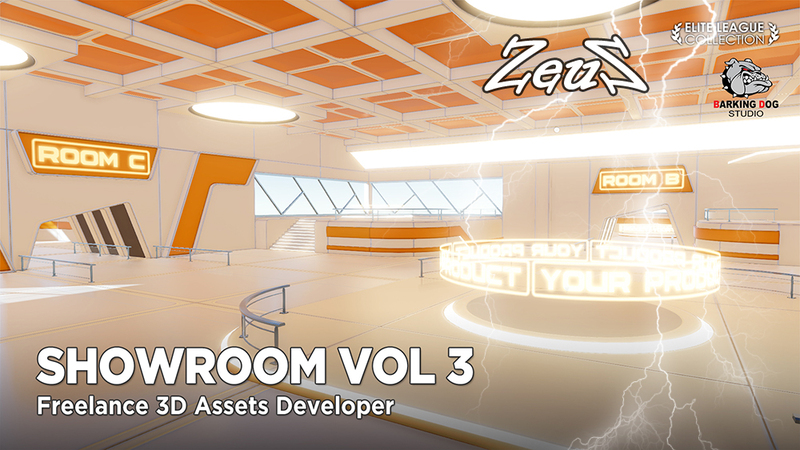 You also get all the single sub-props for adding to your scene or use in other projects. These single props have things like drawers, doors, etc. as subprops for animating on the timeline. Note that a few of the sub-props like dressers/shelves in the full scene do not have parts that can be animated (as they are merged), however, you can easily replace with the same single prop in the "singles" folder that has the separate parts if needed. 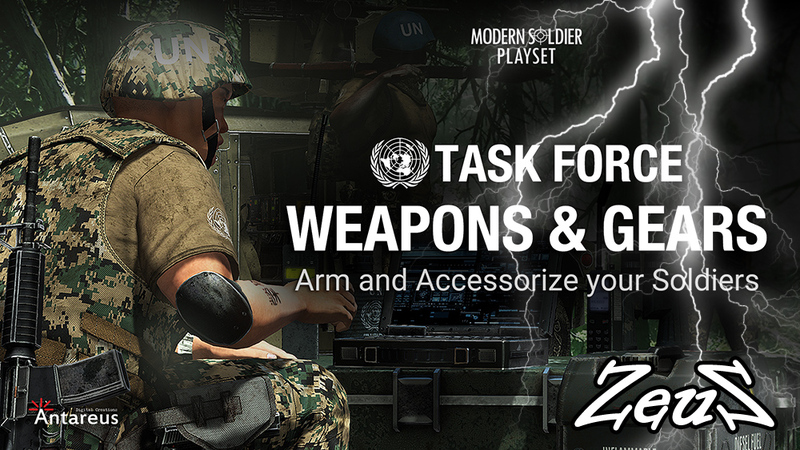 This pack contains a large number of single props and everything you need to build add-ons or to create your own unique scene. 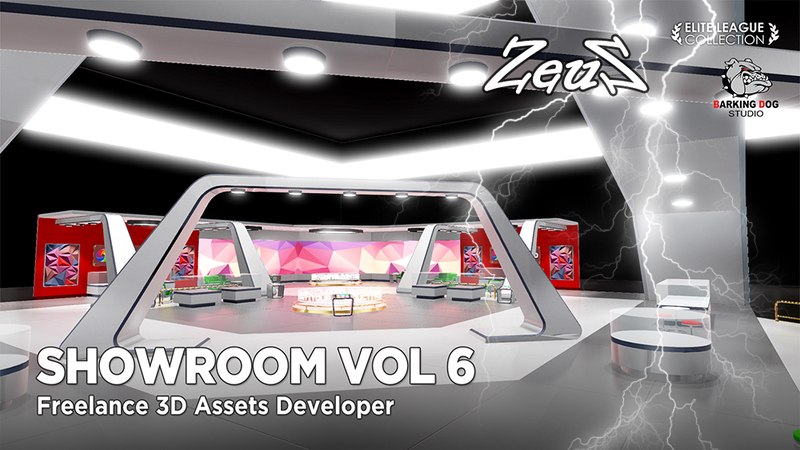 Description: This Collection is intended for easy and fast construction of a Virtual Showroom movie set. Wall assemblies, furniture and props are all pre-positioned and can be moved around and/or saved as individual props and/or removed from the scene to leave room for proper camera take. 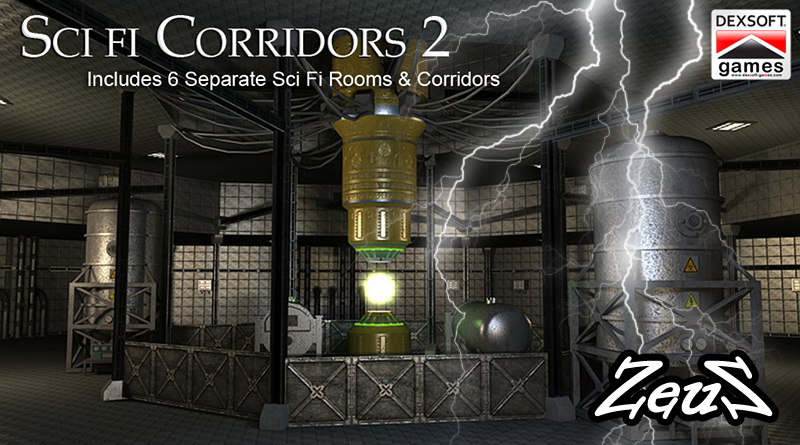 No Sci-fi scene is complete without a futuristic corridor set! 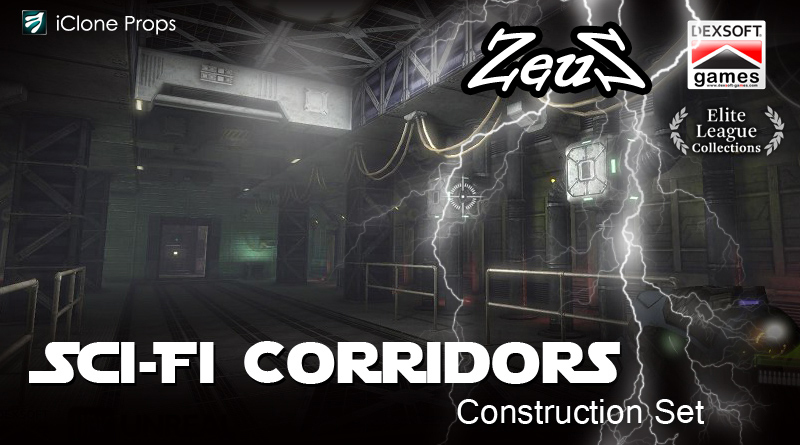 Essential for any kind of dramatic play in futuristic setting, Dexsoft's Sci-fi Corridors pack is suitable for the interior of futuristic buildings, military bases, space stations or space ships. 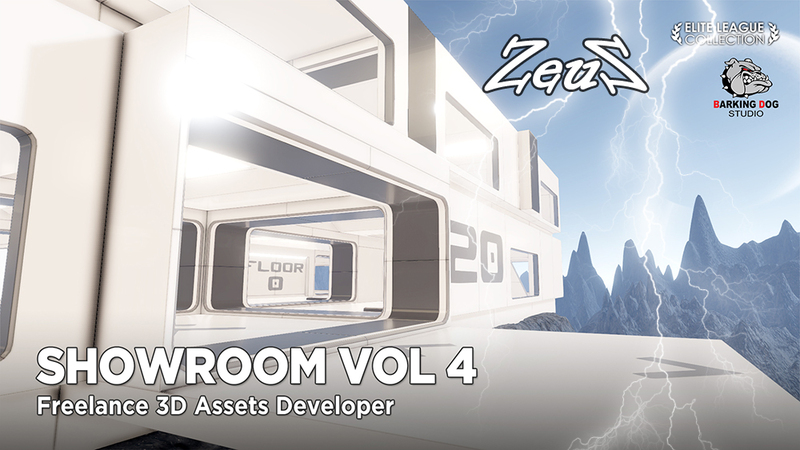 This pack contains numerous building elements such as wall panels, doors and columns that allow the creation of endless variety of in-door sci-fi environments. Mix and match from a collection of props included to set up a unique scene for your galactic interior design. 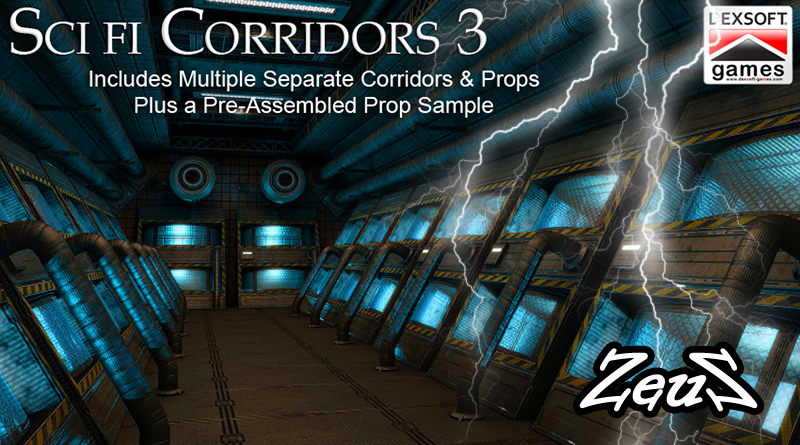 This is a set of 6 separate and highly detailed sci-fi space rooms/corridors and offers you many varied backdrops for your sci-fi story. 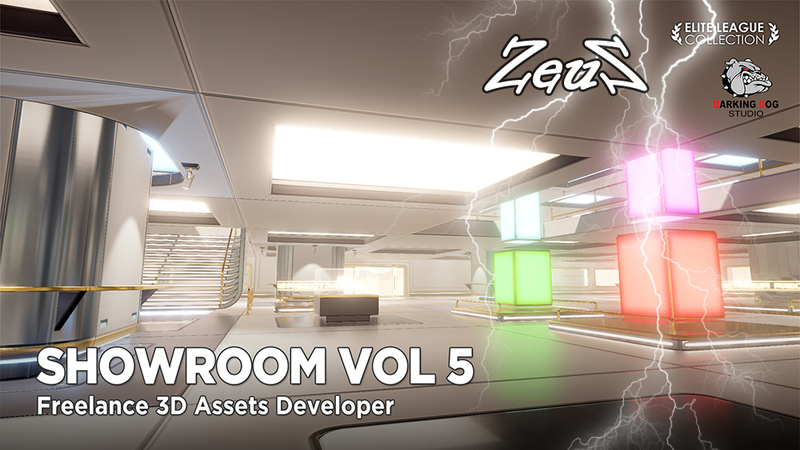 It's not just one big room, it's a series of 6 different rooms and corridors that can connect together to form a large space station complex. Set up your scenes quickly by adding only the room needed for your immediate film. 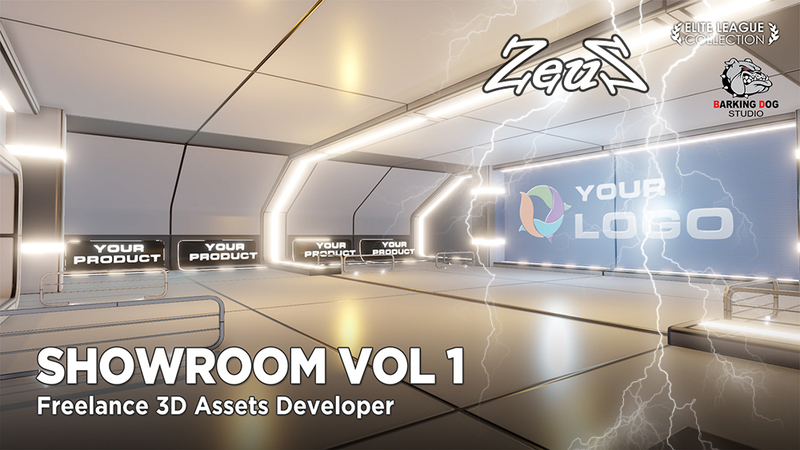 No need to add multiple items to build the set, it's already built for you, thus allowing you to make your movie without spending hours compiling your scene. Supplied as 6 separate rooms as shown in promos, plus doors and door frames for animating the opening and closing of the doors. Fantastic detail with high res textures, complete with bump, spec and glow for lights. This pack is very impressive and contains 4 corridors and two rooms, each of these easily a set on their own. In addition, There are 33 additional props to further create a realistic and dynamic science fiction spacial station. There is also a sample set supplied as a single prop with the various rooms and corridors joined together, should you wish to have the corridors and rooms pre-designed. However, using this particular pre-designed set can be a bit awkward to maneuver and mostly you will want to film your scenes separately in each corridor so that the camera can be better controlled. This pack is such great value - its like getting 6 separate sets as each corridor is quite unique and different from the others, allowing your story to have multiple sets for telling your story. 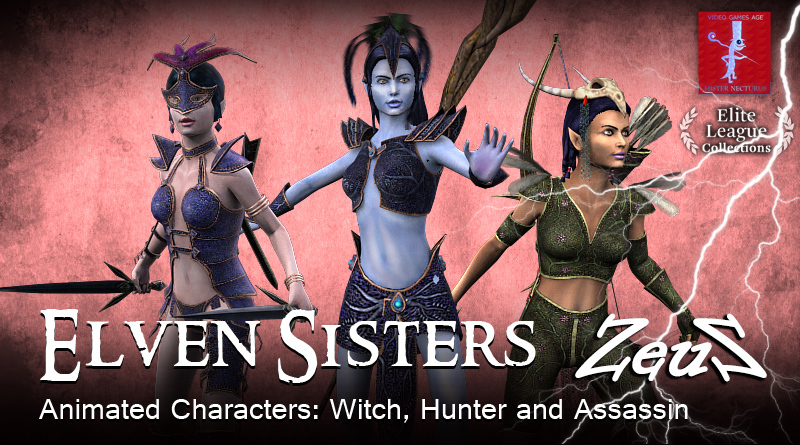 Additionally, the stair props, ladders and other props in this pack are quite versatile and will be useful items for your library. 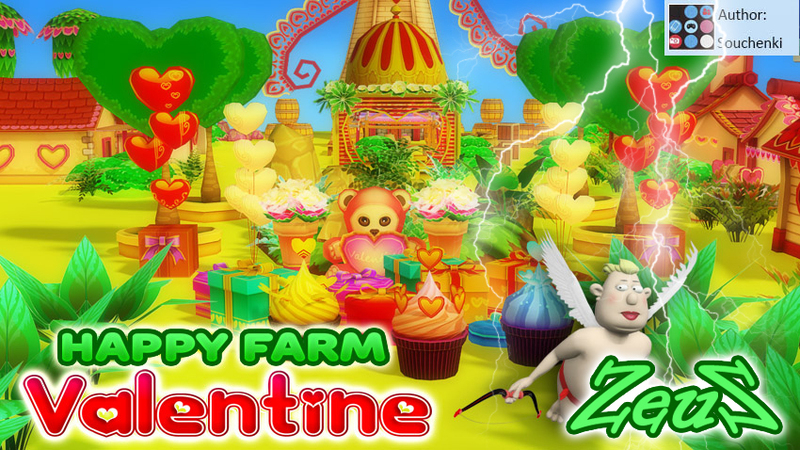 Description: This pack contains everything you need to make a gorgeous toon Valentine Village. In addition to all the various props, the 9 included houses are supplied complete, but also in parts, so that you can create your own variations - the combinations are numerous. Roads, plantlife, and other scenery parts are also supplied to create the most colourful and eye-catching village. 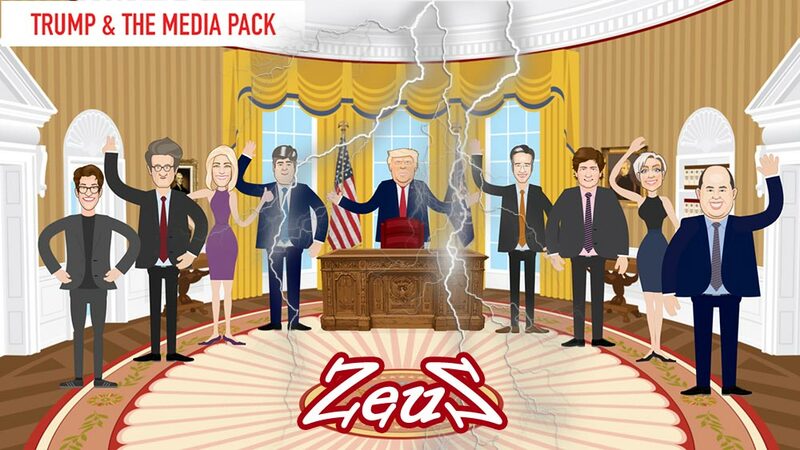 Description: The pack includes President Trump, Sean Hannity, Laura Ingraham, Tucker Carlson, Joe Scarborough, Mika Brzezenski, Rachel Maddow, Jake Tapper, Brian Stelter, and an Oval Office scene. It is ideal for those interested in politics, the Media, and/or creating your own animated news programs based on current events and the White House. With prominent TV hosts from FOX News, CNN and MSNBC, you can let your imaginations run wild, regardless of where you stand on the political spectrum. Each G3 character has both front and side facing views, multiple hand, eye, and mouth sprites, and is designed to work with facial puppeteering.